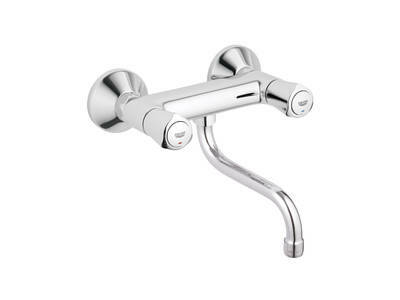 Avina is a modern interpretation of the classic GROHE faucet and features a refreshed take on the tri-spoke handle. The solid metal handles balance a modern aesthetic with ergonomics – a harmonious unification of beauty and functionality. For smooth operation, the collection features premium Carbodur head parts – ensuring a lifetime of carefree use. 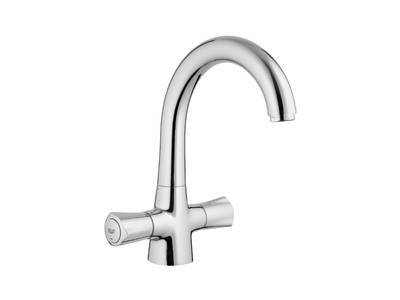 Enhanced with GROHE StarLight® technology - for a sparkling chrome finish - Avina’s attractive profile and timeless design will match any kitchen design scheme.